In 1985 when Prime Minister Rajiv Gandhi visited the US, he was accompanied by Army Chief General K. Sundarji. This was the time when planning was full swing for establishment of the Army Aviation Corps (AAC), which finally was founded two years later – in 1987. Sundarji wanted to get two squadrons of the Apache Attack Helicopters for AAC. However, the defence allocations were inadequate and the idea had to be shelved. Despite wars with Pakistan involving mechanised warfare, India has been ambivalent in terms of attack helicopters. 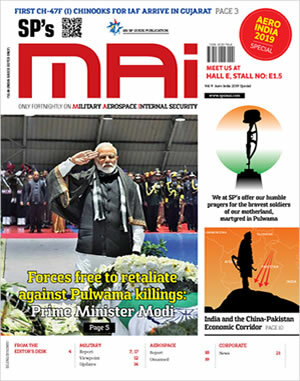 Going by current statistics listed by 'Total Attack Helicopter Strength by Country – Global Firepower', China is ranked 3rd globally with 281 attack helicopters (US and Russia being 1st and 2nd holding 973 and 511 attack helicopters respectively). Pakistan is ranked 12th with 49 attack helicopters and India ranked 38th with 14 attack helicopters. HAL's Light Combat Helicopter (LCH), that underwent trials between 2010 and 2012 is a derivative of the HAL Dhruv, which had been developed during the 1990s and inducted into the Indian Armed Forces during the 2000s. In November 2016, MoD authorized the purchase of an initial batch of 16 LCHs for the Indian Air Force (IAF) and the AAC. By mid-2017, the AAC had placed combined orders for 114 LCHs, while the IAF had a total of 65 LCHs on order. The LCH was showcased at Aero India exhibition at Bengaluru in 2017. The armament of LCH includes: 1 x 29 mm M621 cannon on Nexter THL-20 turret; two hard points under each wing to carry combination of rockets and missiles – 4 x 70mm FZ rocket pods, 4 x two-round MBDA Mistral air to air missiles and 2 x four-round Helina missiles. The LCH will be deployed alongside the Boeing AH-64E Apache heavy attack helicopters under procurement from the US, which are expected to start arriving by year 2020. In 2015, India had placed an initial order for 22 x AH-64Es and 15 CH-47F Chinook heavy-lift helicopters for the IAF. This contract included a clause for a follow-on option of 11 x additional AH-64Es and 7 x Chinooks at a fixed price agreed upon in 2013. As follow up to the 2015 contract, India issued a Letter of Request to the US government for the purchase of six more AH-64E attack helicopters in February 2018. In June 2018, the US State Department approved potential direct commercial sale of six additional Boeing AH-64E Apache heavy attack helicopters to India for an estimated cost of $930 million, which also includes training and training equipment. The deal includes the sale of 180 x AGM-114L-3 Hellfire Longbow missiles, 90 x AGM-114R-3 Hellfire II missiles, 200 x Stinger Block I-92H missiles, next to 30mm cannons and ammunition. The United States will also offer logistical support services and training. These six additional AH-64Es are intended for service in the AAC and expected to be delivered by 2020. In a statement released on June 12, 2018, the US Defense Security Cooperation Agency (DSCA) said, �This proposed sale will contribute to the foreign policy and national security of the United States by helping to strengthen the U.S.-Indian strategic relationship and to improve the security of an important partner which continues to be an important force for political stability, peace, and economic progress in South Asia. The sale �will strengthen India's ability to defend its homeland and deter regional threats. 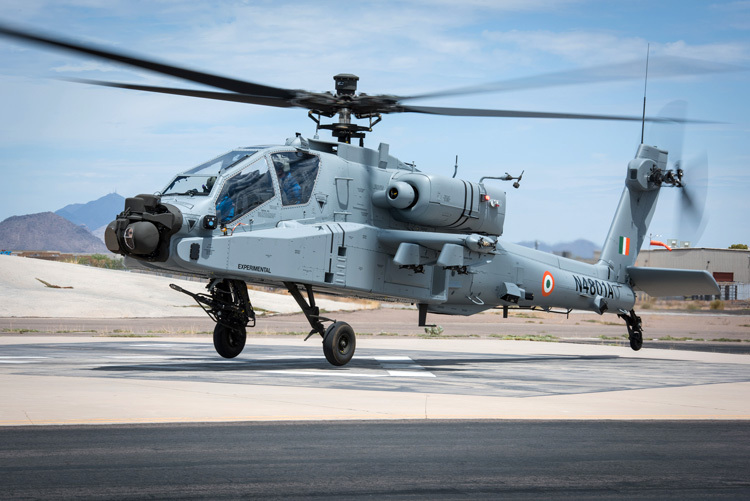 This support for the AH-64E will provide an increase in India's defensive capability to counter ground-armored threats and modernize its armed forces.� The Apache 64E AH, also called 'Apache Guardian', is the most technologically advanced and lethal AH in the world today. It is basically the upgraded version of the Apache 64D-Block III, which, even today, continues to be the main stay of US Military AH fleet. The Apache Guardian incorporates 28 technology upgrades on the Apache 64D, the major ones being more powerful engines, upgraded transmission system to accommodate additional power, improved digital connectivity, capability to control UAVs, advanced sensors and avionics permitting unhindered night operations, improved landing gear and new composite blades. There are approximately 634 Apache AH 64D-Block-III operating in the US military which are already in the process of upgrading to 64E. Overall, the AAC intends to induct 39 x AH-64E helicopter gunships divided up into three squadrons for the Strike Corps which has 'in principal' approval of the government. There is no doubt that the Apache AH will be a game changer for the Army, providing a powerful punch to the Strike Corps.